Take that Einstein…I mean, take that cranks! … all of the available constraints on the validity of the founding principles of SR and GR have so far failed to crack any faults in these century-old theories, which thus remains the standard against all competitors so far. I like the above quote. 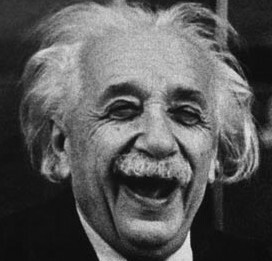 It is rather an inescapable that Einsteinian relativity works well. I posted, about a year ago now, on the experimental status of Einsteinian relativity, you can read it here. Whatever the faults with general and special relativity, philosophical or real, today we have no other theory of space, time and gravity that has the experimental success of Einstein’s theories. Most of the “objections” to special and general relativity stem from not really understanding what the theory is saying, or indeed what a theory really is. Analogies and popular science accounts seem to also be the root of a lot of misunderstandings. Other good references on the experimental status of relativity include [2,3,4]. All these problems only really tell us that general relativity is not a complete theory in the sense that there is physics that it cannot accurately explain. This is not grounds for dismissing general relativity as it is a very accurate model of gravity for a huge range of phenomena. Orfeu Bertolami, Jorge Páramos, and Slava G. Turyshev. General theory of relativity: Will it survive the next decade? In Lasers, Clocks, and Drag-Free: Technologies for Future Exploration in Space and Tests of Gravity. Springer Verlag, 2006; gr-qc/0602016. Clifford M. Will. The confrontation between general relativity and experiment. Living Reviews in Relativity, 9(3), 2006.